In 2013, Stephanie Reifman created a heroin addiction prevention program called H.A.P.P.Y. Week. H.A.P.P.Y. is an acronym that stands for Heroin Addiction Prevents People’s Years saying that being addicted to heroin can take a person’s life. Her original inspiration for this program was in the summer of 2013 when actor Cory Monteith lost his life to a heroin overdose. She was a huge fan of the show he starred in: Glee and a fan of his as well. Stephanie was absolutely devastated to see such an amazing and talented actor lose his life to his addiction. When she began to look into more details about heroin addiction, she was shocked with what she found out. She saw that in 2013 alone, Bergen County experienced more than 27 fatal heroin overdoses. Stephanie never knew what an epidemic heroin addiction was in her own backyard. While Cory Monteith will forever remain the reason as to why she started this program, she quickly realized why else she was doing this program. She wanted to do what she could to help prevent as many deaths as possible. The way Stephanie chose to go about this was by educating parents, students, and her community about this issue. This lead to her creation of H.A.P.P.Y. Week. Stephanie brought H.A.P.P.Y. Week to her middle school, Cavallini, in Upper Saddle River. The program was a week and culminated with an evening program at the school. She began the program with a pre-survey to see the knowledge students had prior to the program and showed an introductory montage about the heroin epidemic in Bergen County. She then went straight from the montage into an interview with a recovering heroin addict. The audience had the opportunity to ask the speaker questions after the interview. To finish the program, Stephanie handed out a post survey with the same questions to see if the program had helped the students to learn about the dangers of heroin. The H.A.P.P.Y Week program at Cavallini Middle School was a tremendous success with many people in attendance and the survey results showed that the students had an increase in their knowledge of heroin by the end of the program. Stephanie was inspired by the results she saw and the feedback she received and she knew that she had to continue this program when she arrived at Northern Highlands in the fall of 2014.The Town Journal (local paper) had covered the program at Cavallini and as a result of this coverage, a parent from Bergen County who lost a son to heroin addiction saw this article and reached out to her. The father was moved by what Stephanie was doing and offered to help with the program in any way that he could. His kindness and generosity inspired her to change and expand the program to include an interview with a parent who had lost a child to heroin addiction. Stephanie thought it was important for both parents and students to hear the impact losing a child to heroin addiction can have on a parent and the family. The H.A.P.P.Y. 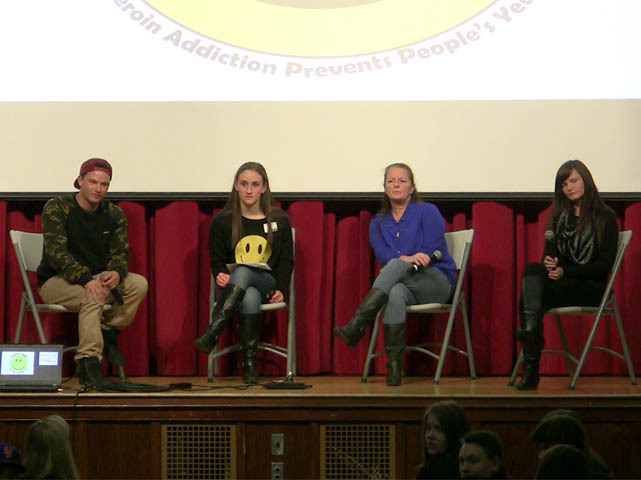 Week Program took place at Northern Highlands in February 2015 with public service announcements about the dangers of heroin to raise awareness all week. The week once again culminated with an evening program which Stephanie began by explaining the history of the H.A.P.P.Y. Week program and showing a powerful video montage containing facts about the issue. Next she interviewed a recovering heroin addict and a father who lost his son to heroin addiction and they shared their emotional stories. The audience then asked the speakers questions. The program was a tremendous success with over a 100 people in attendance and incredible feedback regarding how much people learned from the program. 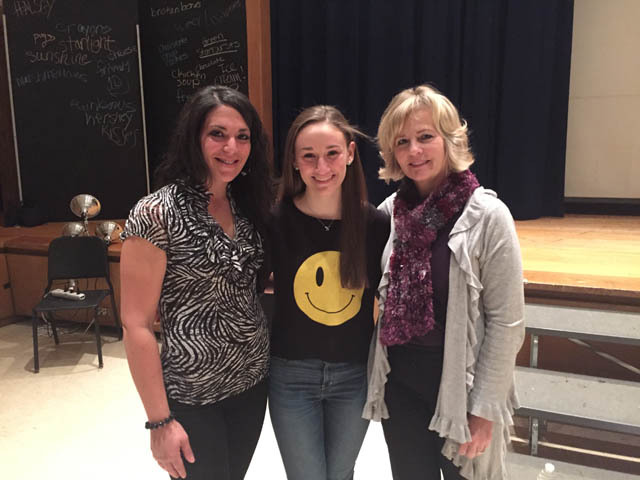 Since presenting the program at Northern Highlands, Stephanie has been honored to present her program to over 30 middle schools and high schools in New Jersey and New York and has reached over 12,000 students. 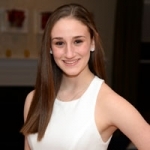 Stephanie was asked to be on the planning committee of Bergen Community College’s forum “Caught in the Web: Heroin Addiction” held in November 2015, as well as to be the Student Representative to Upper Saddle River’s Drug-Free Communities Mentoring Program. Stephanie has received numerous awards in recognition of this program including: Girl Scout Gold Award, American Association of University Women Wayne Girl’s Hall of Fame Inductee, New Jersey State Board of Education, HOBY Magic Makers and the Prudential Spirit of Community President’s Volunteer Service Award. H.A.P.P.Y. Week has been featured in The Record, WCBS 880 AM Radio “50 People to Know,” NBC 4 New York, Fios One, The Town Journal, and Channel One News. It is Stephanie’s hope to continue bringing her program to other schools in Bergen County and beyond to educate students and save lives. 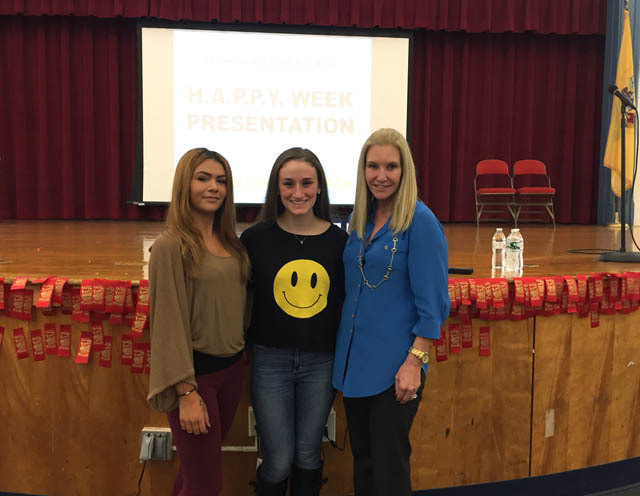 Stephanie Reifman founded the HAPPY Week Program in the summer of 2013 before entering the eighth grade at Cavallini Middle School in Upper Saddle River. Currently, Stephanie is a senior at Northern Highlands Regional High School in Allendale, NJ. Stephanie is incredibly passionate about the work that she does for the HAPPY Week Program. She strives to make the program the best it can be in order to truly make an impact on each and every student with regard to the danger of this epidemic. In addition to this, Stephanie participates in numerous extracurricular activities at her high school and enjoys graphic design, travel, and spending time with family and friends.